The Undergraduate Council meets in the Smith Campus Center. 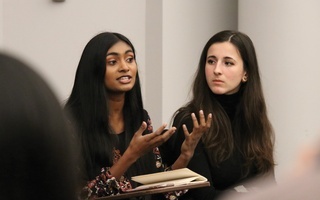 The Undergraduate Council elected 14 new representatives across eight upperclassmen houses in midterm elections held last week, according to UC President Sruthi Palaniappan ’20. Thirty-four candidates ran for 14 open positions on the Council, but some students who won elections were write-in candidates on the ballot. The Council was not able to declare a winner in one contest, in Cabot House, because the election ended in a tie. Nine students — excluding write-in candidates — originally ran for positions in seven houses. Only the Lowell House midterm election, which had two students running for one open position, was competitive. Last week’s election — which lasted from Monday to Thursday and saw 154 students cast ballots — marked the lowest voter turnout in midterm elections in recent years. 371 undergraduates voted in the 2018 UC midterms, and 402 students cast votes in 2017. Brandon M. Martinez ’20, a write-in candidate selected to represent Cabot House, said he feels a responsibility to serve after his election. “Ultimately, I thought it was only right for me, one, to recognize that people thought I should step into the position and serve and not take that lightly, and two, that I could move with some of my ideas on through this semester,” he said. Martinez was not the only write-in candidate chosen for the Council. Delaney E. Tevis ’19 and Humza I. Jilani ’21 tied in an election, and Tevis ultimately accepted a spot to represent Winthrop House. 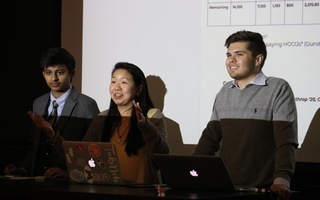 JingJing Z. Zhu ’19, who also received two write-in votes in the Winthrop election, wrote in email that she did not intend to pursue a UC position. 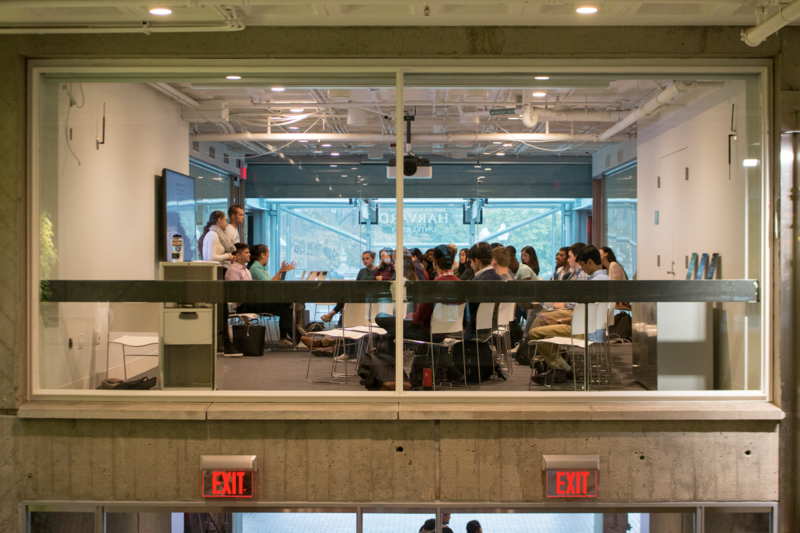 “I do not intend on nor have I ever intended on pursuing a UC position,” Zhu wrote. Samyra C. Miller ’21, who ran an unsuccessful campaign for UC vice president along with Daniel “Danny” K. Ragheb ’20 last year, secured a vacant seat to represent Lowell House. Though she did not win the vice presidency, she said she still “wanted to make change” in the UC. “As an electoral representative, I really do hope to not only work with the current UC initiatives, but also push for better access to social spaces on campus,” Miller said. Jakob L. Gilbert ’21 — an Eliot House representative who worked on Ragheb and Miller’s campaign last year — said he wants to change the perception of the UC he had encountered during the fall elections. Gilbert is one of the nine candidates elected who were not write-ins. “I saw how it was generally accepted that the UC is not capable of much and the student body generally viewed the UC as a joke, and I thought that was pretty depressing,” Gilbert said. She wrote that the UC's restructuring is designed to "help the UC function in the most effective and representative way possible." The election commission has yet to decide the date of the runoff election for the vacancy in Cabot House. Due to incorrect information given to The Crimson by UC Vice President Julia M. Huesa, a previous version of this article incorrectly stated that Delaney E. Tevis declined to participate in a runoff election, leaving a vacancy on the Council. In fact, Tevis accepted the seat, so a runoff election was not necessary. A previous version of this article incorrectly stated that JingJing Z. Zhu received one write-in vote and declined to take a spot to represent Winthrop House. In fact, Zhu received two write-in votes and never received an offer to represent Winthrop House. —Staff writer Laura C. Espinoza can be reached at laura.espinoza@thecrimson.com.